Online students can use this page to seek support regarding online or hybrid courses at the University of Wisconsin-Stevens Point. Links to other university offices can be found in the navigation bar at the top of the page. You can also request information on specific topics by clicking the Request Information link in the navigation menu on the left. Please click on the headings below to access resources and information on specific topics. We hope you enjoy your online education at UW-Stevens Point. Online courses often offer students greater flexibility than face-to-face courses because they allow students to complete their coursework on their own timelines. However, because online courses usually don’t require any meetings or lectures, students often need to commit more of their personal time to complete online coursework. Online courses are designed to meet the same learning outcomes as equivalent face-to-face courses, so you should expect the same rigor and student expectations as a student enrolled in a face-to-face course. Online courses are often fast paced and it can be difficult to catch up if you fall behind. Some tips that may help you find success in your online course are listed below. Log in to D2L or Canvas before the course starts to ensure that you have access and to familiarize yourself with D2L/Canvas navigation. View the D2L Training Videos​ or Canvas Video Guides to learn more about D2L or Canvas; a self-paced Student Training / Orientation course is available for self-registration in Canvas. Review the course calendar and stay informed of due dates so you can plan ahead to complete coursework. Set up D2L text notifications so you get regular reminders. Reach out to your instructor to introduce yourself and get to know them. Stay connected with your instructor and classmates. Students can login to D2L accounts by clicking on the D2L link at the top of most UW-Stevens Point webpages. Once logged in to D2L there are many resources available by using the Student Documentation or UWSP Resources menus on the navigation bar. Students having difficulty with campus technology systems, D2L, or computers should contact the UWSP Help Desk by calling 715-346-HELP (4357) or 1-877-832-8977 or emailing helpdesk@uwsp.edu. The UWSP Information Technology (IT) department maintains a remote computer lab. The remote computer lab allows students to access UWSP software remotely. Please use the link below for more information and to access remote computers. ​Students enrolled in courses offered through a collaborative degree program (HWM, HIMT, and MSDS) need to log in to the UW-Extension D2L site, not the UWSP D2L site. Use the link below to access the UW-Extension D2L portal. Please visit the UWSP Information Technology Minimum Computer Requirements website to view the minimum recommended technology requirements for students taking online courses. If the technology you are using does not meet the minimum requirements you may have difficulty taking an online course. The Tutoring-Learning Center(TLC) provides academic support to help UWSP students reach their academic potential. We have a variety of services ranging from a writing lab to math and science assistance to academic coaching. We have also recently begun online tutoring and can set up individual online tutoring upon request. Please check out the TLC website or reach out to us by phone (715-346-3568) or email (tlctutor@uwsp.edu) and we will work with you to provide you part of the academic support you need to be successful. Required textbooks for online course are provided by UWSP Text Rental. To verify course material needs, Log in to accesSPoint and view the booklists for your courses. If you are a student taking an undergraduate or slash (combined undergraduate/graduate) course offered by UWSP, you have paid text rental fees and can use UWSP Text Rental. •	UWSP Text Rental will ship your books to you for $10.95 per shipment (all books for the term in one shipment). •	The student must pay return shipping. •	Students must call 715-346-3885 to arrange shipping. Please do not contact Text Rental via e-mail to arrange shipping, as they cannot accept credit card information via e-mail due to security concerns. •	Textbooks are due back by the last day of finals, which is noted on the receipt included in the shipment. If a rental book is needed up until the last day of finals and cannot be mailed until this date, please contact Text Rental at 715-346-3885. NOTE: Courses offered in collaborative degree programs such as: Health Information Management and Technology (HIMT), Health and Wellness Management (HWM), Master of Science in Data Science (MSDS) and BSN@Home do not charge UWSP Text Rental Fees and therefore cannot use UWSP Text Rental services. The UW-Stevens Point University Library provides many resources for online and distance students. The goal of the library is to provide the same library services and resources to distance students as it does to students on campus. Please use the link below to access these online library resources. The Disability and Assistive Technology Center (DATC) provides disability services for UWSP students with disabilities who qualify for services. This would include registered UWSP students taking online courses. For information about qualifying for disability services, go online to the DATC website at https://www.uwsp.edu/datc/Pages/registration-instructions.aspx. Accommodations will vary depending on the student’s disability and their disability documentation. For information about services and accommodations, go online to the DATC website at https://www.uwsp.edu/datc/Pages/default.aspx . Netiquette is a set of rules for behaving properly online. Your instructor and fellow students wish to foster a safe online learning environment. All opinions and experiences, no matter how different or controversial they may be perceived, must be respected in the tolerant spirit of academic discourse. You are encouraged to comment, question, or critique an idea but you are not to attack an individual. Working as a community of learners, we can build a polite and respectful course community. ● Do not dominate any discussion. ● Give other students the opportunity to join in the discussion. ● Do not use offensive language. Present ideas appropriately. ● Be cautious in using Internet language. For example, do not capitalize all letters since this suggests shouting. 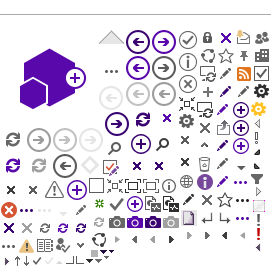 ● Popular emoticons such as ☺ or / can be helpful to convey your tone but do not overdo or overuse them. ● Avoid using vernacular and/or slang language. This could possibly lead to misinterpretation. ● Never make fun of someone’s ability to read or write. ● Share tips with other students. ● Keep an “open-mind” and be willing to express even your minority opinion. Minority opinions have to be respected. ● Think and edit before you push the “Send” button. ● Do not hesitate to ask for feedback. ● Using humor is acceptable. Shea, V. (1994). Netiquette. Albion.com. Retrieved from: http://www.albion.com/netiquette/book/. To learn more about Netiquette, visit this Website Builders.com Netiquette page. ​The Office of the Registrar has several resources available to help students with the registration process. Currently enrolled students can register online using the Web Registration page. Other students can find information on the How To Register​ page. Starting with the Summer 2016 term, tuition for 100% online coursework at UW-Stevens Point will be assessed as detailed below. Nonresident students may be assessed out-of-state fees. Please see the Distance Education Service Fee FAQ document for more detail. Some programs have special tuition policies; tuition for coursework offered through these programs is assessed according to the Memorandum of Understanding for each program. Please see the Program Rates and Fees page for more detail. ​You can also visit the UWSP Financial Aid page for more information. Optional ID cards are available to students taking only online classes, for a $20 fee which will be charged to your student bill. The card will show your student status, but will not provide access to services available to campus students. A student photo will not be included on the ID due to security and authenticity reasons. Students who take on-campus courses in addition to their online courses, may request a PointCard from the PointCard Office, located at 340 Dreyfus University Center 1015 Reserve St Stevens Point, WI 54481. 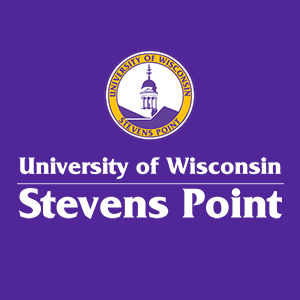 ​All students who wish to drop a UW-Stevens Point course must complete the Add/Drop Form. The form and course add/drop dates can be found on the Office of the Registrar page. Continuing education courses often have different schedules than face-to-face courses. For more information about Continuing Education courses please use the Continuing Ed Credit Courses page. Instructors of all UW-Stevens Point courses are required to take attendance within the first eight days of the term. This is true for online course as well as face-to-face courses. For online students to be considered in attendance they must complete at least one learning activity. A simple login to an online course is not adequate to determine attendance. A student must participate in a learning activity to be considered present in an online course. Examples of learning activities may include posting in a discussion board, completing a quiz, or turning in an assignment. Financial Aid and enrollment can be affected by students who are determined to be not attending courses. For more information on this topic please visit the Attendance Roster page.